Eyewear by the brand LACOSTE, for Prescription Glasses for Children, with reference M0013297, with a(n) Modern and Retro/Vintage style.These Lacoste 3803B 525 51 14 have a(n) Full Rim frame made of Acetate / plastic with a(n) Retro-Wayfarer shape in Pink colour. Their size is 51mm and their bridge width is 14mm, with a total frame width of 65mm. These glasses are suitable for prescription lenses. These are top of the range glasses from the brand LACOSTE, made of high-quality materials, modern eyewear that will give you a look that matches your image. Buy Lacoste 3803B 525 51 14 eyewear in an easy and safe way at the best price in our online store. Eyewear by the brand LACOSTE, for Prescription Glasses for Children, with reference M0013296, with a(n) Modern and Retro/Vintage style.These Lacoste 3803B 513 51 14 have a(n) Full Rim frame made of Acetate / plastic with a(n) Retro-Wayfarer shape in Purple colour. Their size is 51mm and their bridge width is 14mm, with a total frame width of 65mm. These glasses are suitable for prescription lenses. These are top of the range glasses from the brand LACOSTE, made of high-quality materials, modern eyewear that will give you a look that matches your image. Buy Lacoste 3803B 513 51 14 eyewear in an easy and safe way at the best price in our online store. string(132) "Buy Lacoste 3803B 513 51 14 eyeglasses. Modern and elegant model. Original product with fast shipping, quality guarantee and refund." string(23) "Lacoste 3803B 513 51 14"
Eyewear by the brand LACOSTE, for Prescription Glasses for Children, with reference M0013295, with a(n) Modern and Retro/Vintage style.These Lacoste 3803B 466 51 14 have a(n) Full Rim frame made of Acetate / plastic with a(n) Retro-Wayfarer shape in Green and Blue colours. Their size is 51mm and their bridge width is 14mm, with a total frame width of 65mm. These glasses are suitable for prescription lenses. These are top of the range glasses from the brand LACOSTE, made of high-quality materials, modern eyewear that will give you a look that matches your image. Buy Lacoste 3803B 466 51 14 eyewear in an easy and safe way at the best price in our online store. 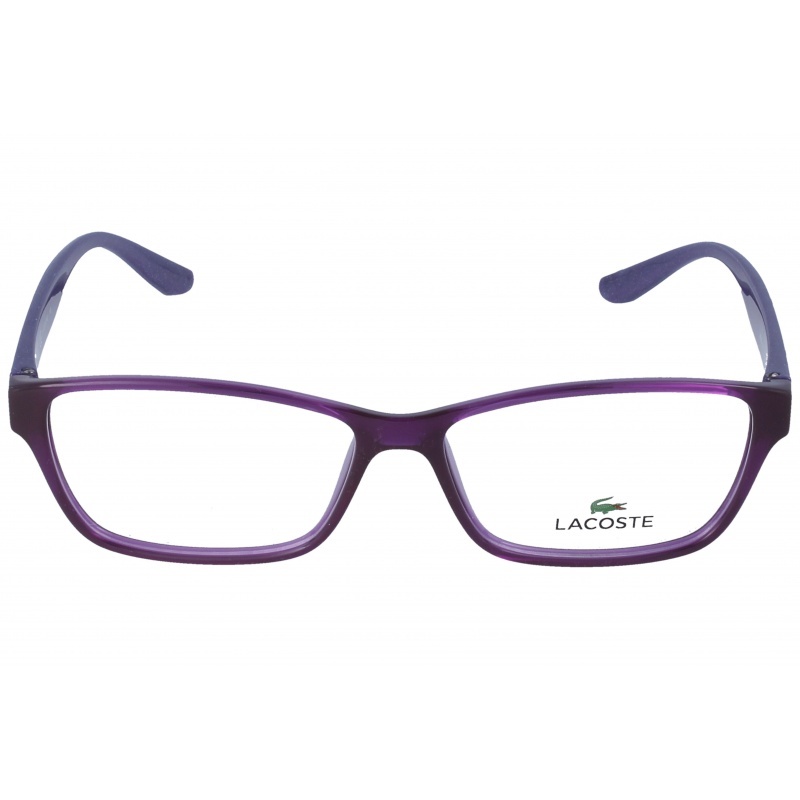 string(132) "Buy Lacoste 3803B 466 51 14 eyeglasses. Modern and elegant model. Original product with fast shipping, quality guarantee and refund." string(23) "Lacoste 3803B 466 51 14"
Eyewear by the brand LACOSTE, for Prescription Glasses for Children, with reference M0013294, with a(n) Modern and Retro/Vintage style.These Lacoste 3803B 440 51 14 have a(n) Full Rim frame made of Acetate / plastic with a(n) Retro-Wayfarer shape in Blue colour. Their size is 51mm and their bridge width is 14mm, with a total frame width of 65mm. These glasses are suitable for prescription lenses. These are top of the range glasses from the brand LACOSTE, made of high-quality materials, modern eyewear that will give you a look that matches your image. Buy Lacoste 3803B 440 51 14 eyewear in an easy and safe way at the best price in our online store. 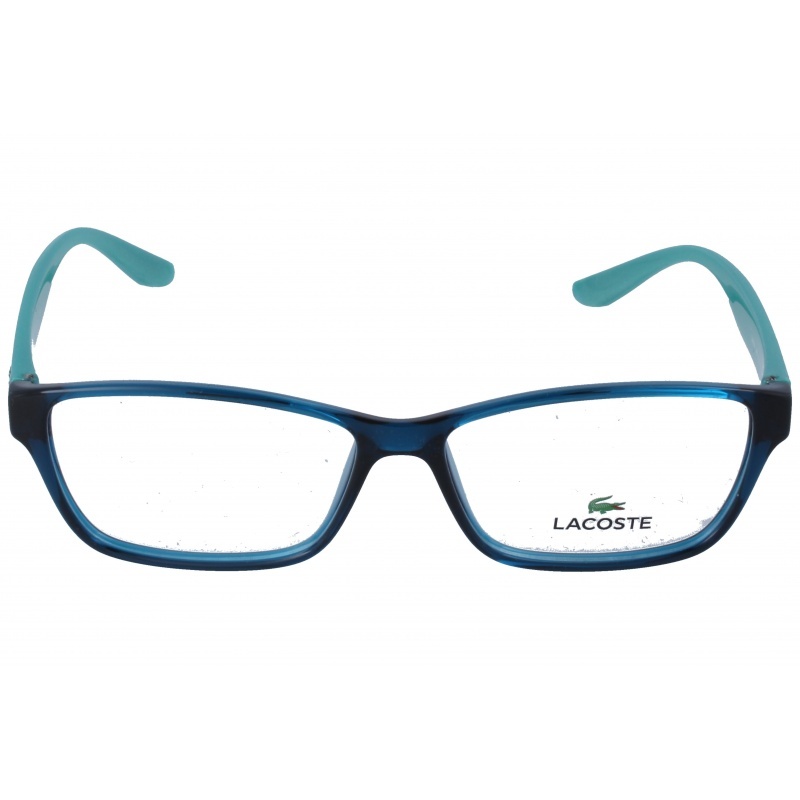 string(132) "Buy Lacoste 3803B 440 51 14 eyeglasses. Modern and elegant model. Original product with fast shipping, quality guarantee and refund." string(23) "Lacoste 3803B 440 51 14"
Eyewear by the brand LACOSTE, for Prescription Glasses for Children, with reference M0009959, with a(n) Modern and Retro/Vintage style.These Lacoste 3803B 467 51 14 have a(n) Full Rim frame made of Acetate / plastic with a(n) Retro-Wayfarer shape in Blue and Navy Blue colours. Their size is 51mm and their bridge width is 14mm, with a total frame width of 65mm. These glasses are suitable for prescription lenses. These are top of the range glasses from the brand LACOSTE, made of high-quality materials, modern eyewear that will give you a look that matches your image. Buy Lacoste 3803B 467 51 14 eyewear in an easy and safe way at the best price in our online store. 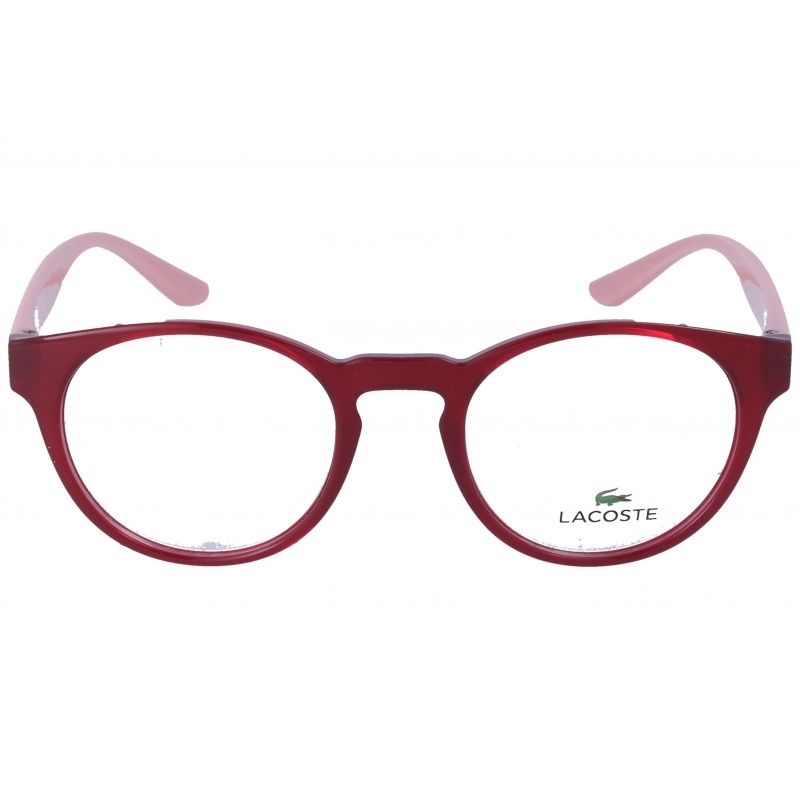 string(132) "Buy Lacoste 3803B 467 51 14 eyeglasses. Modern and elegant model. Original product with fast shipping, quality guarantee and refund." string(23) "LACOSTE 3803B 467 51 14"
Eyewear by the brand LACOSTE, for Prescription Glasses for Children, with reference M0009699, with a(n) Modern and Retro/Vintage style.These Lacoste 3803B 444 51 14 have a(n) Full Rim frame made of Acetate / plastic with a(n) Retro-Wayfarer shape in Black and White colours. Their size is 51mm and their bridge width is 14mm, with a total frame width of 65mm. These glasses are suitable for prescription lenses. These are top of the range glasses from the brand LACOSTE, made of high-quality materials, modern eyewear that will give you a look that matches your image. Buy Lacoste 3803B 444 51 14 eyewear in an easy and safe way at the best price in our online store. 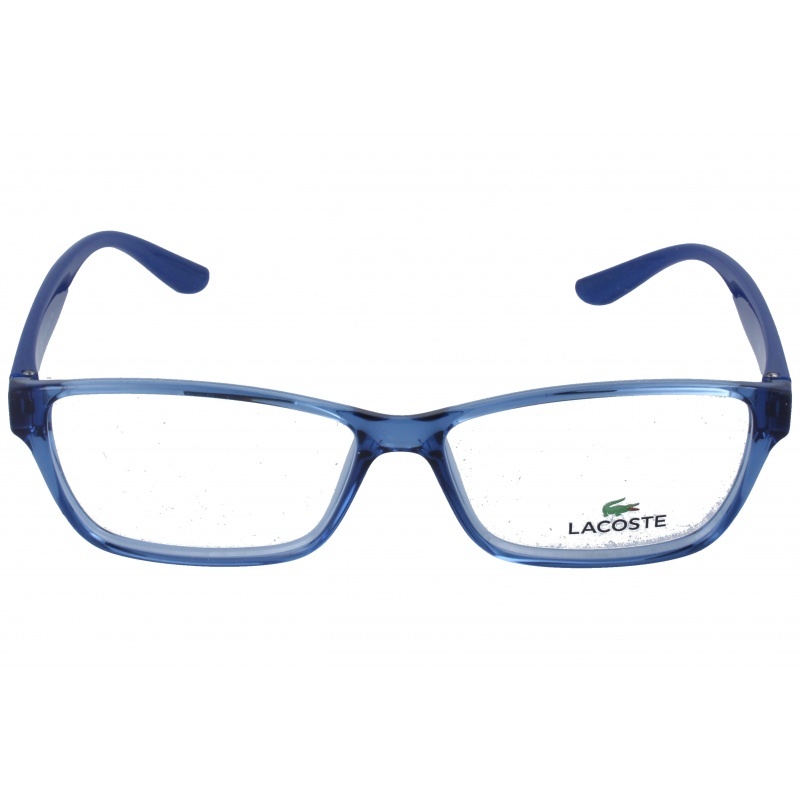 string(132) "Buy Lacoste 3803B 444 51 14 eyeglasses. Modern and elegant model. Original product with fast shipping, quality guarantee and refund." string(51) "LACOSTE 3803B 444 51 14 - Eyeglasses | Opticalh.com"
string(23) "Lacoste 3803B 444 51 14"
Eyewear by the brand LACOSTE, for Prescription Glasses for Children, with reference M0009700, with a(n) Modern and Retro/Vintage style.These Lacoste 3803B 002 51 14 have a(n) Full Rim frame made of Acetate / plastic with a(n) Retro-Wayfarer shape in Green colour. Their size is 51mm and their bridge width is 14mm, with a total frame width of 65mm. These glasses are suitable for prescription lenses. These are top of the range glasses from the brand LACOSTE, made of high-quality materials, modern eyewear that will give you a look that matches your image. Buy Lacoste 3803B 002 51 14 eyewear in an easy and safe way at the best price in our online store. 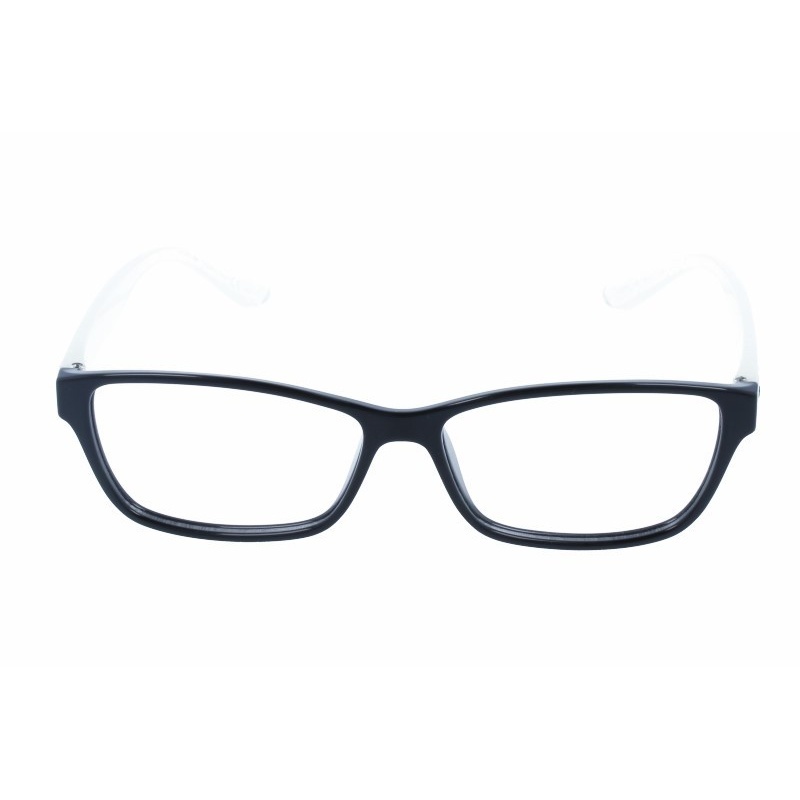 string(132) "Buy Lacoste 3803B 002 51 14 eyeglasses. Modern and elegant model. Original product with fast shipping, quality guarantee and refund." string(51) "LACOSTE 3803B 002 51 14 - Eyeglasses | Opticalh.com"
string(23) "Lacoste 3803B 002 51 14"
Eyewear by the brand LACOSTE, for Prescription Glasses for Children, with reference M0008868, with a(n) Modern and Retro/Vintage style.These Lacoste 3803B 662 51 14 have a(n) Full Rim frame made of Acetate / plastic with a(n) Retro-Wayfarer shape in Pink colour. Their size is 51mm and their bridge width is 14mm, with a total frame width of 65mm. These glasses are suitable for prescription lenses. These are top of the range glasses from the brand LACOSTE, made of high-quality materials, modern eyewear that will give you a look that matches your image. Buy Lacoste 3803B 662 51 14 eyewear in an easy and safe way at the best price in our online store. 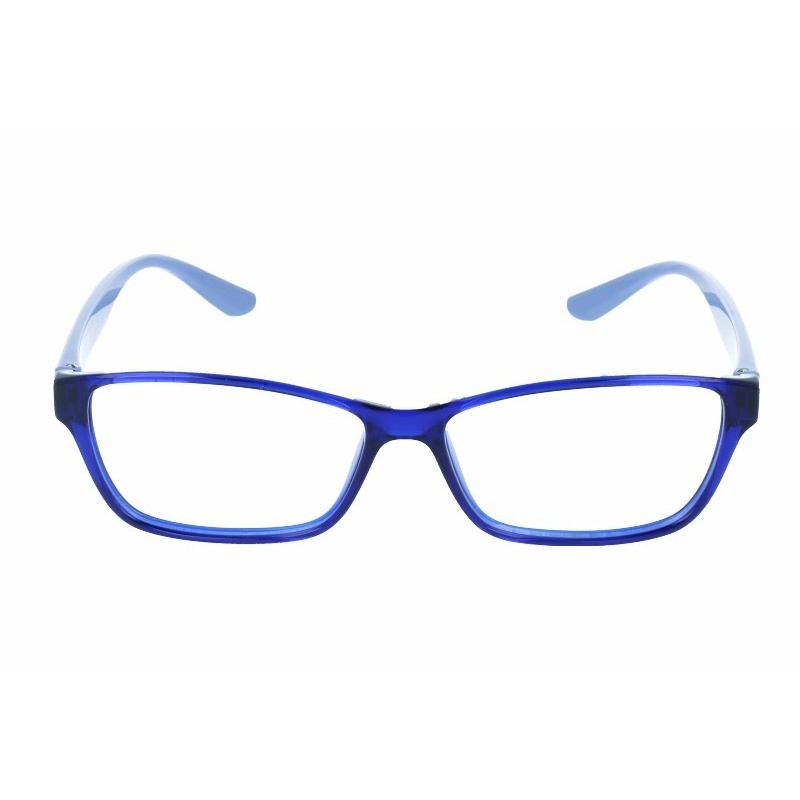 string(132) "Buy Lacoste 3803B 662 51 14 eyeglasses. Modern and elegant model. Original product with fast shipping, quality guarantee and refund." string(207) "lacoste 3805 630 50 16,unisex acetate,metal,rectangular,round,square,juvenile,rod lens,organic,graduating,monofocal,quality,price,discount,cheap glasses,eyeglass quality,original glasses,cadet,glasses child." string(51) "LACOSTE 3803B 662 51 14 - Eyeglasses | Opticalh.com"
string(23) "Lacoste 3803B 662 51 14"
Eyewear by the brand LACOSTE, for Prescription Glasses for Children, with reference M0014322, with a(n) Modern style.These Lacoste 3910 526 46 19 have a(n) Full Rim frame made of Acetate / plastic with a(n) Round and Oval shape in Red colour. Their size is 46mm and their bridge width is 19mm, with a total frame width of 65mm. These glasses are suitable for prescription lenses. These are top of the range glasses from the brand LACOSTE, made of high-quality materials, modern eyewear that will give you a look that matches your image. Buy Lacoste 3910 526 46 19 eyewear in an easy and safe way at the best price in our online store. string(155) "Lacoste 3910 526 46 19 GlassesEyewear by the brand LACOSTE, for Prescription Glasses for Children, with reference M0014322, with a(n) Modern style.These..."
string(22) "Lacoste 3910 526 46 19"